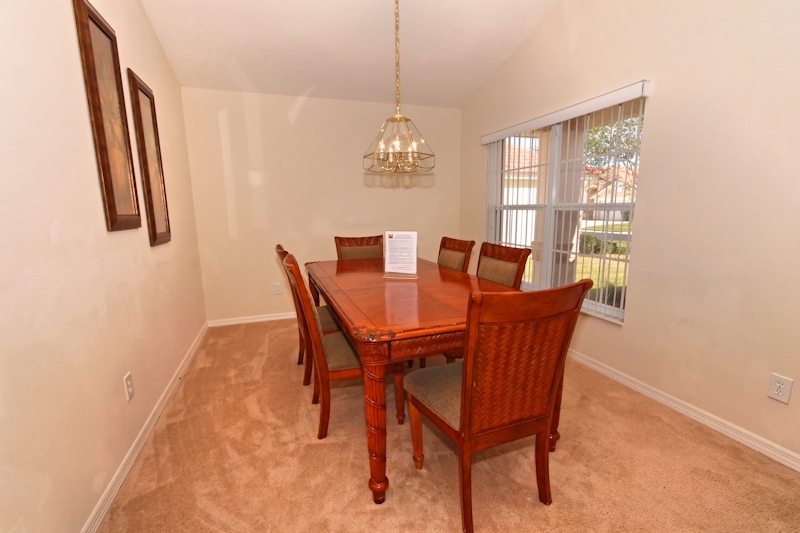 Glinton is ideally located in the Gated Resort Community of Solana, just 9 miles from Walt Disney World, and only minutes from golfing. 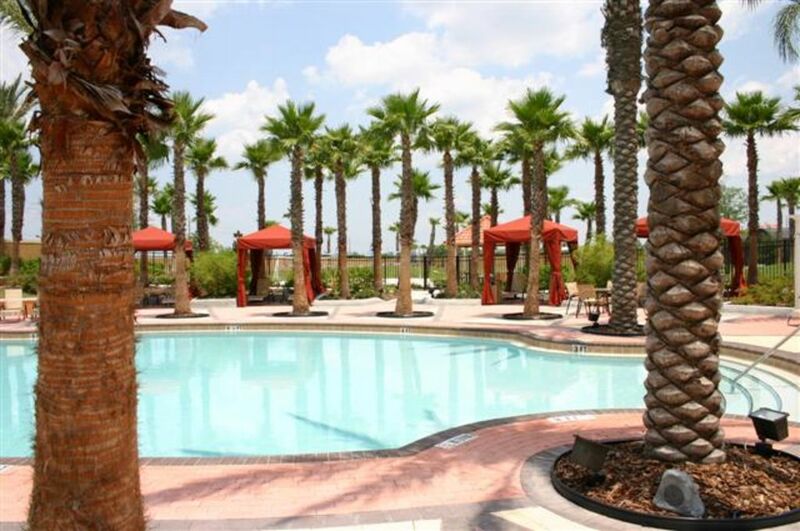 Featured in this Resort Community you have access to: A poolside tikki bar, volleyball court, games room, minigolf, kid's playground, fitness suite, and more! 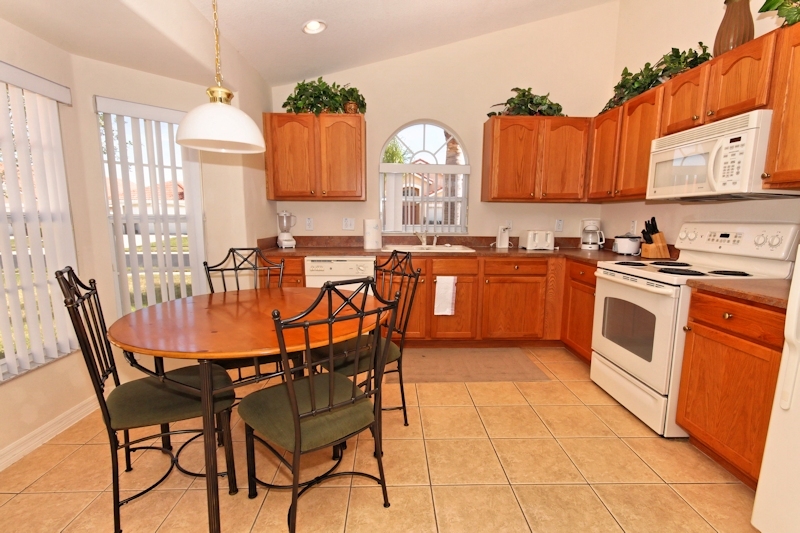 This home offers you and your family the ideal location to relax during your vacation. 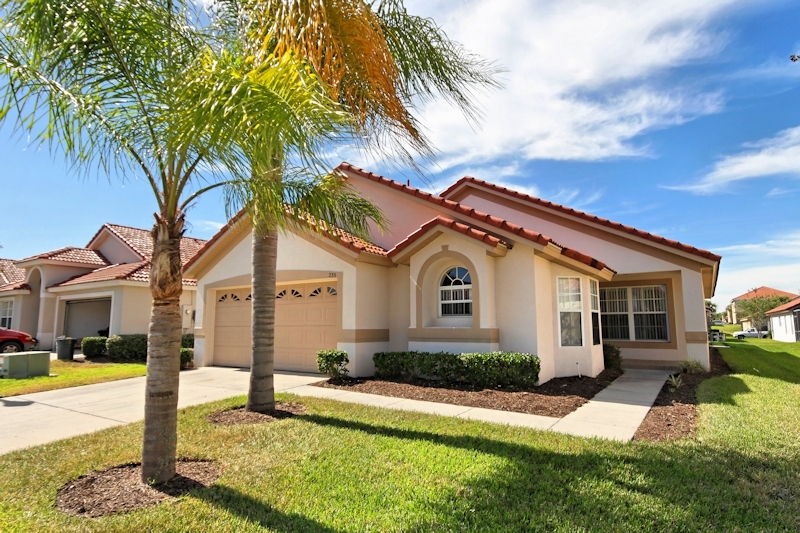 Glinton features central air conditioning, a large spacious family room with a TV\DVD, Wi-Fi, a dining room, kitchen with breakfast nook, four bedrooms, three bathrooms and an extra large swimming pool with spacious lanai and spa. The villa comfortably accommodates 8 people, and has been professionally designed and decorated for the guest who wants something special. 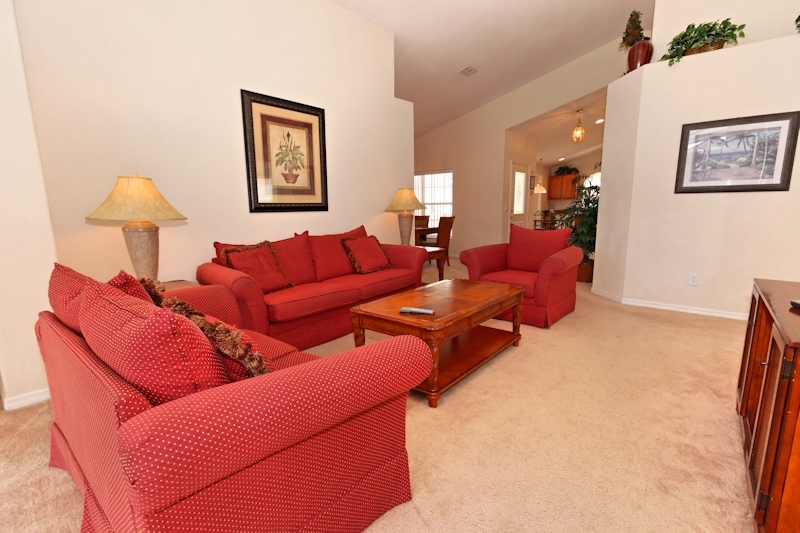 Total living space is 1755 square feet. 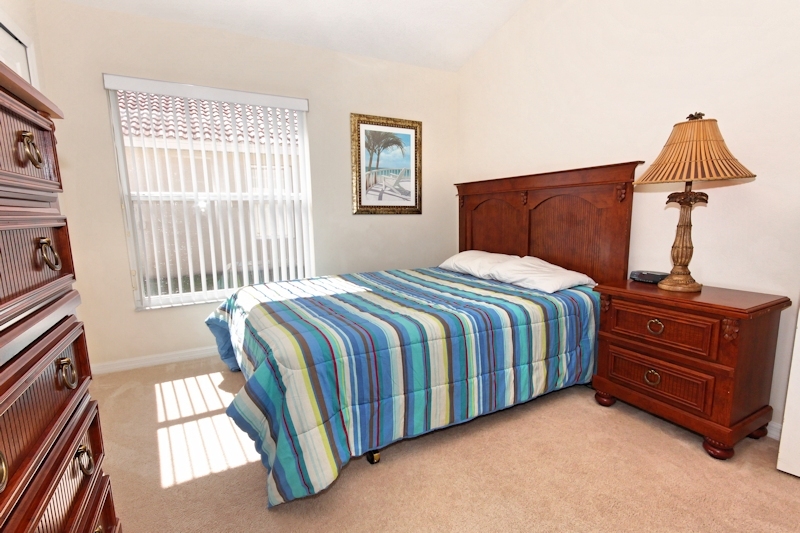 There are two master bedrooms, which have American King and Queen-size beds. 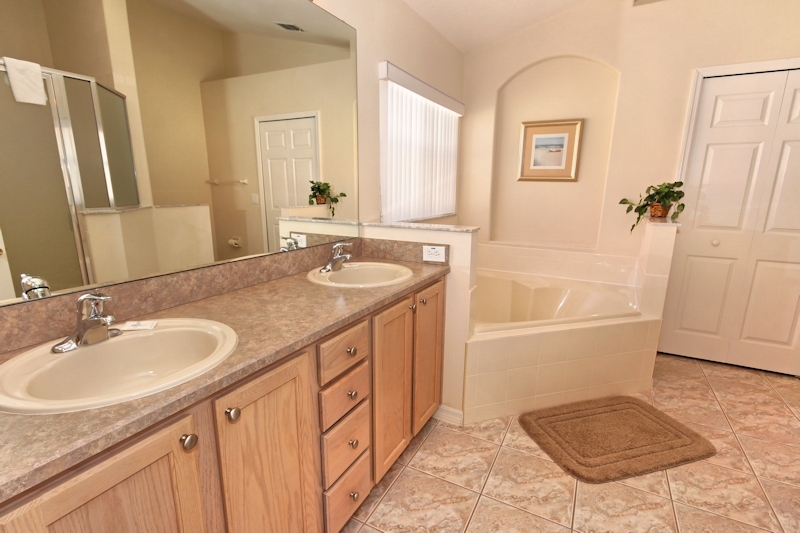 The King comes with large en-suite bathroom including his and hers vanity, large walk in shower and corner bath. 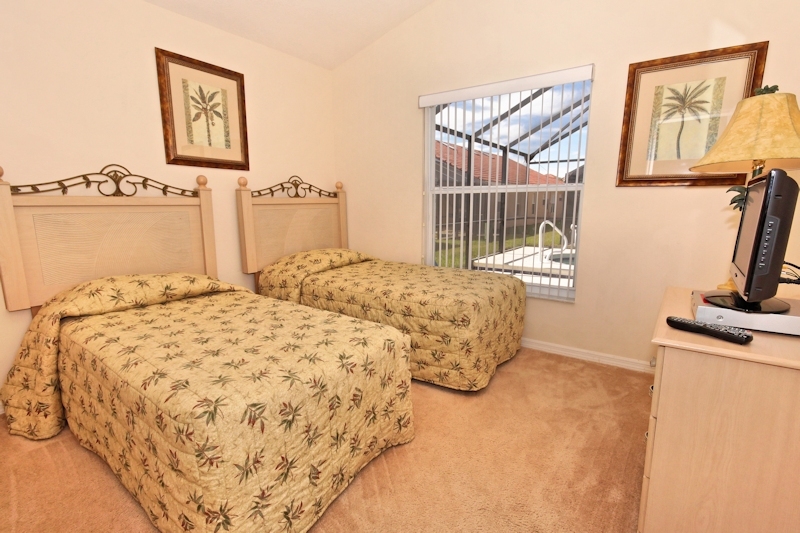 The bedroom opens out directly onto the lanai and pool area. 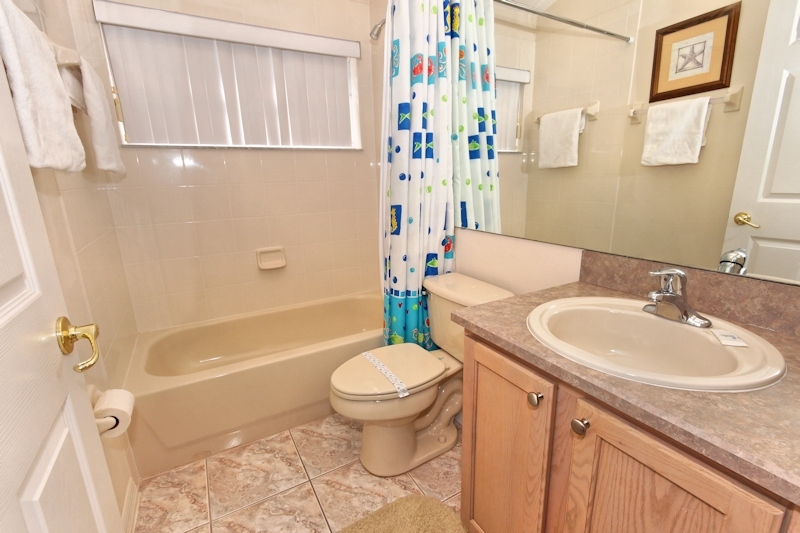 The Queen offers joint shower and bath facilities. 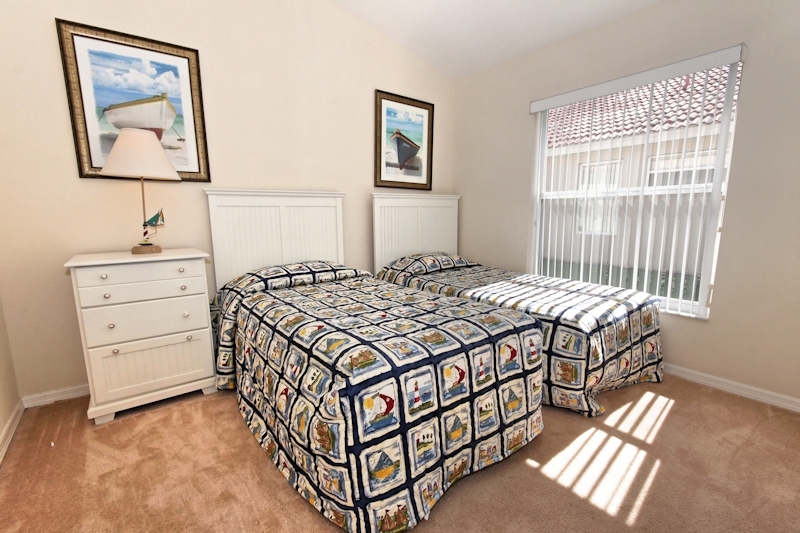 There are a further two twin bedrooms with an adjacent shared bathroom, perfect for the children. 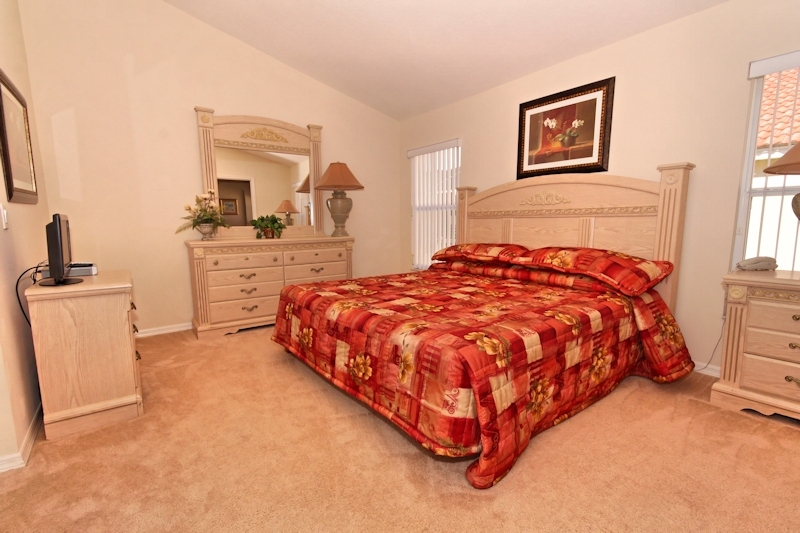 All bedrooms come with extra large closets. 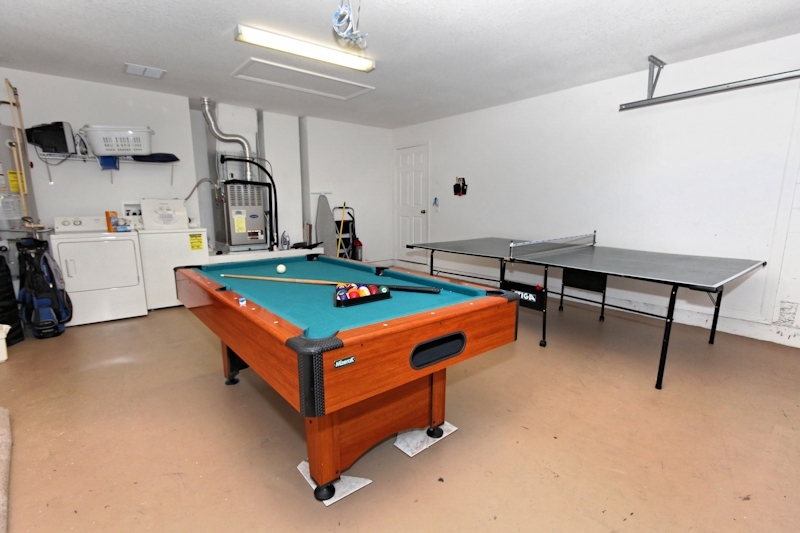 The games room offers pool, table tennis and darts for some entertainment while relaxing at home. 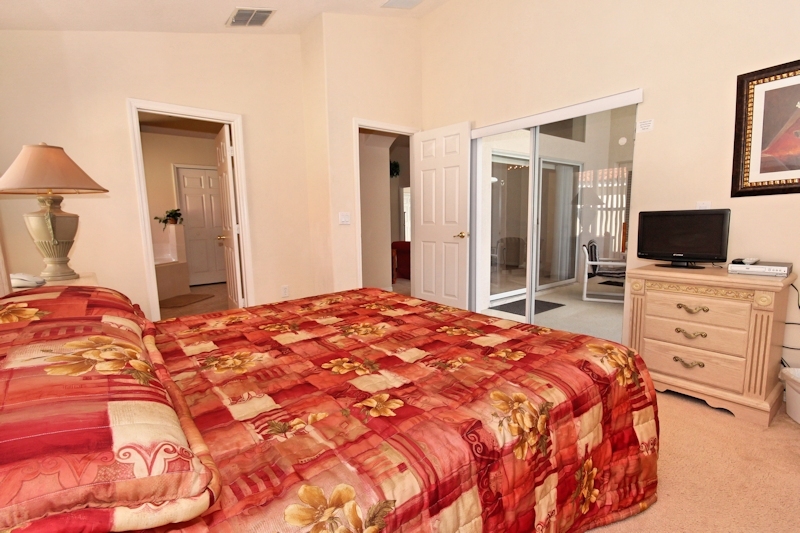 The villa comes fully equipped with a large washer and dryer facility. A home away from home! 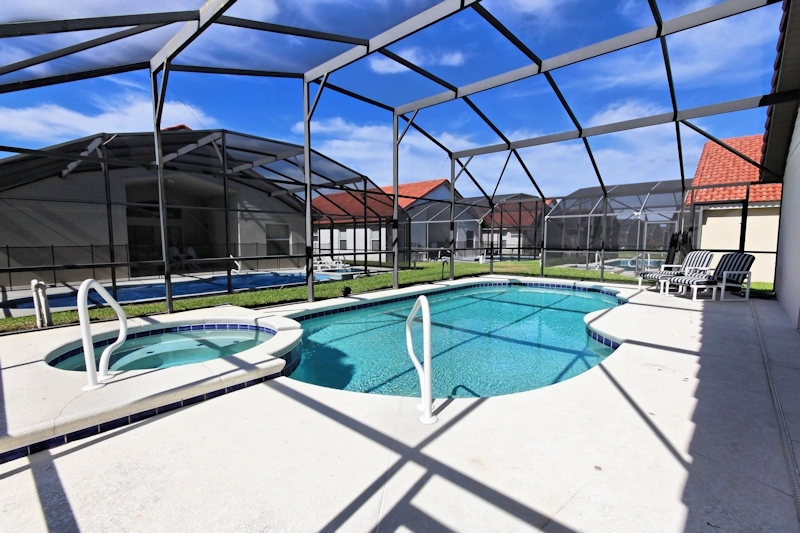 The Solana Clubhouse is beautiful, where you can relax by their heated community pool and spa area, play volleyball, crazy golf or video games. The clubhouse has an internet room with eight computers, a fitness centre, a children’s play area and a lounge where you can watch the super large TV. You can buy drinks and snacks in the luxurious lounge area. Nice weather, good central location for golfing. Relaxing stay at this house in a nice, gated community. Had some issues with the dishwasher, which FSV was quick to address. House was nice, clean. Pool could have been warmer for being 'heated', and hot tub was warm; couldn't control settings. Tony made sure everything was well taken care of and took care of us. 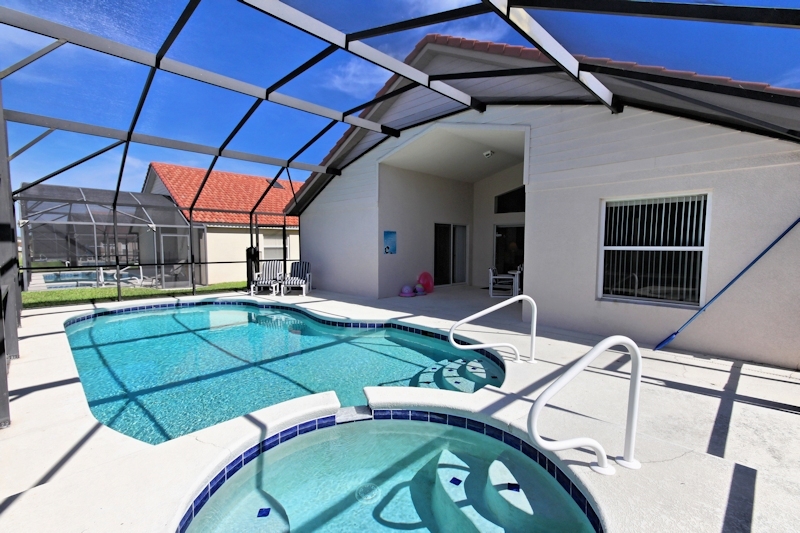 It was our 4th stay with spirit vacation homes and it's always a great stay. Very happy with our stay and will be doing it again! Super Stay, We loved it. We loved this place it was like home from home. Will stay again in the future. 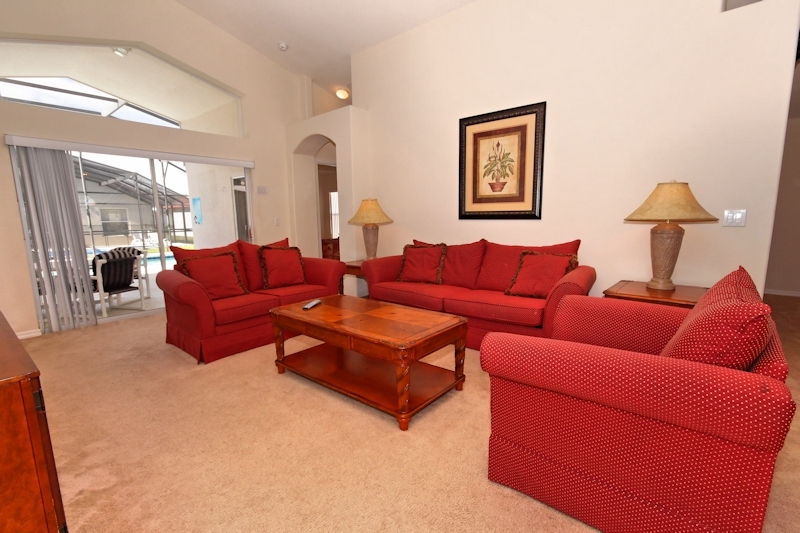 The place was magnificent spacious, clean and a relaxing environment. 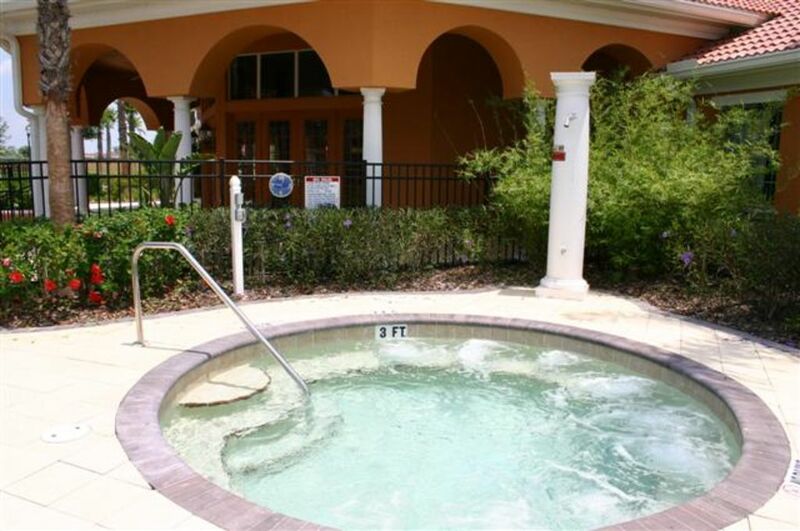 Solana is a beautiful resort community conveniently located off Hwy 27 making it ideally placed for access to the main roads to any of Central Florida’s attractions from the Gulf Coast to the Space Coast, and of course the theme parks! 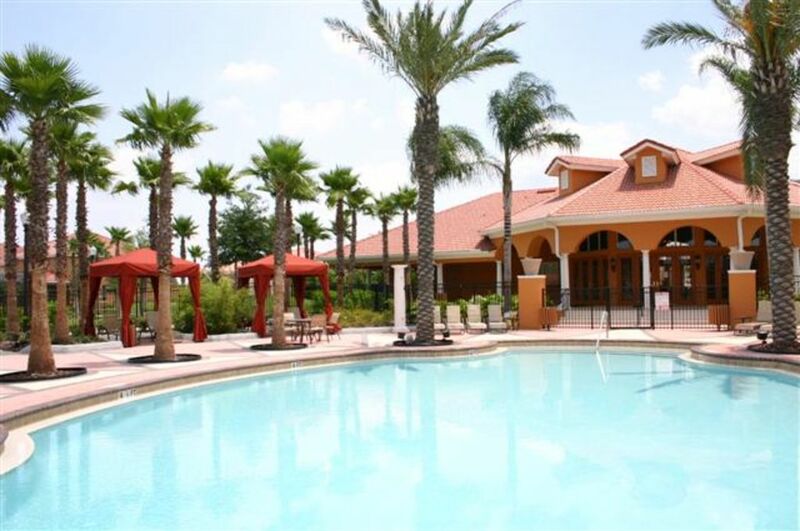 In the nearby ChampionsGate, guests will find a Publix supermarket, pharmacy, and several restaurants to enjoy. 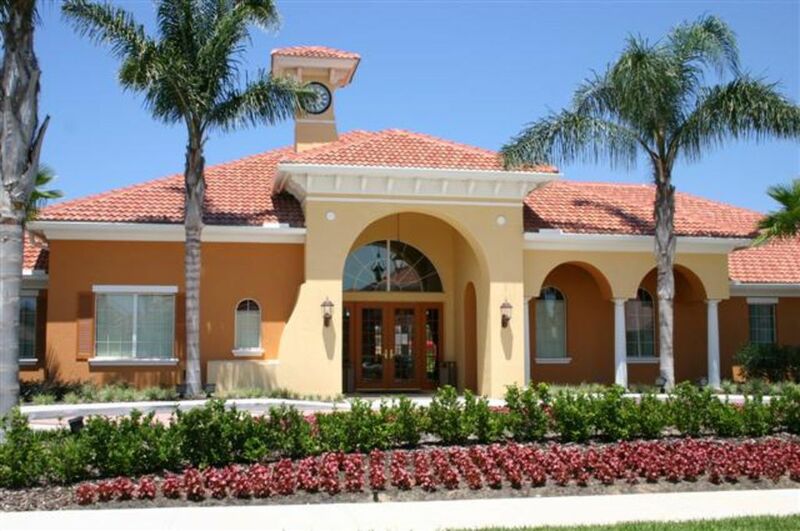 Golf lovers will be surrounded by some of the area’s best golf courses including Highlands Reserve Golf Club, Orange Lake Golf Club, and Greg Norman’s to name a few. 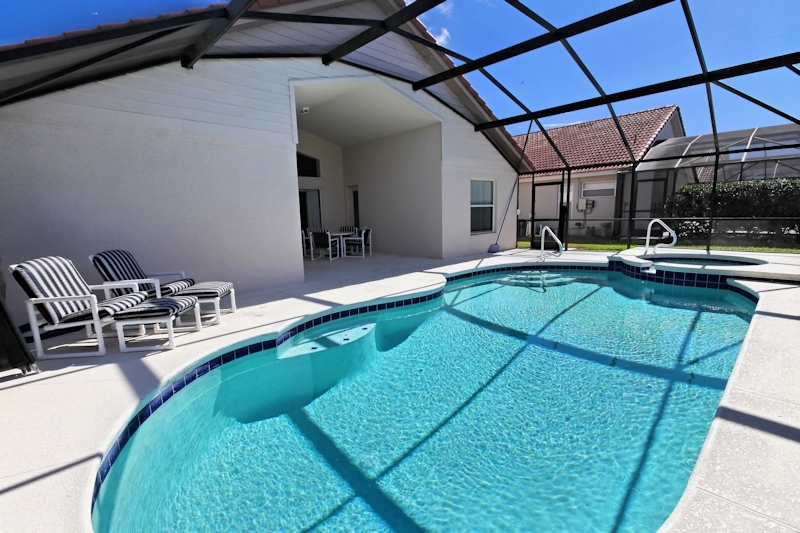 Guests will not only have a private pool in their home; they can enjoy several community amenities like a heated pool and spa, sand volleyball court, and a practice putting green. 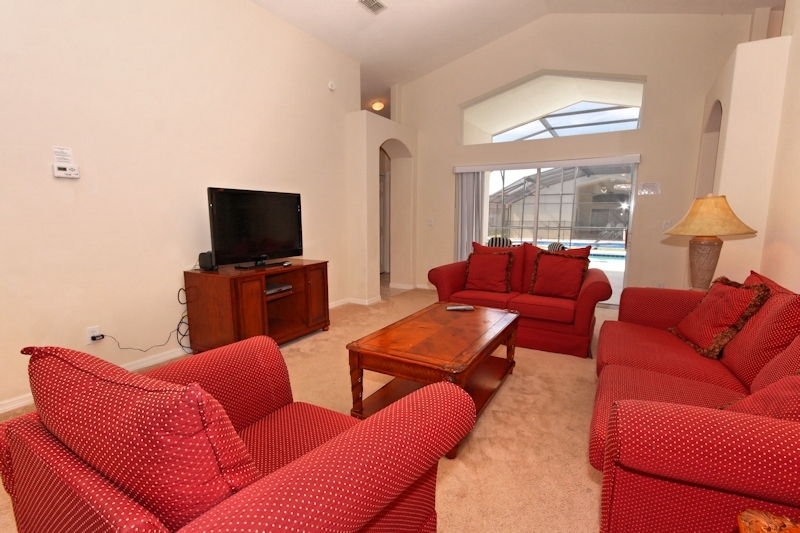 The club house offers guests an Wi-Fi access and printing capability, a game room, a Tiki Hut with hot food and beverages, fitness center, climbing wall, and a large flat screen TV. 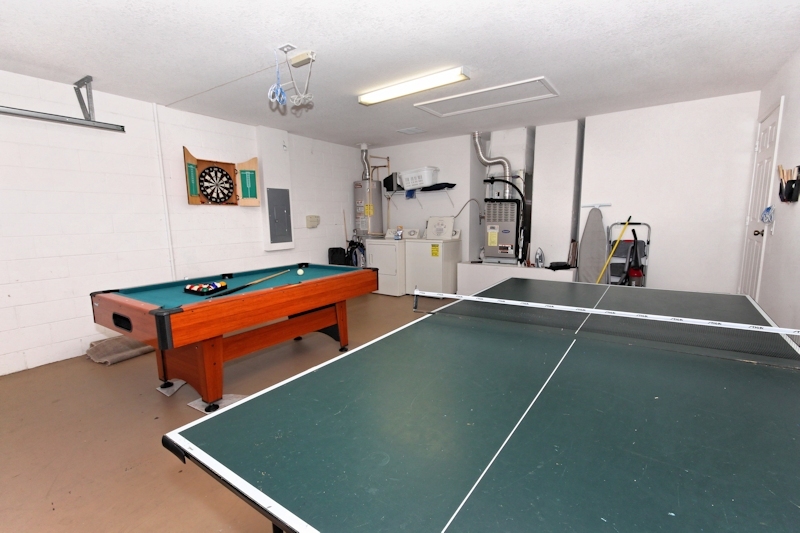 Go to the clubhouse to get a full list of community amenities and a weekly activities list! 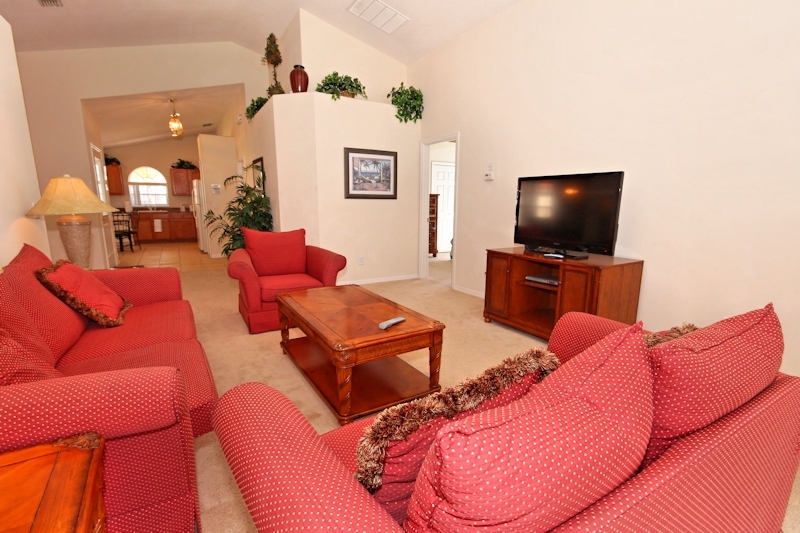 Solana offers all the luxuries of a resort, with the convenience of your own home!